Pandtkites, custom made kites, crafted in Maine from ripstop nylon. 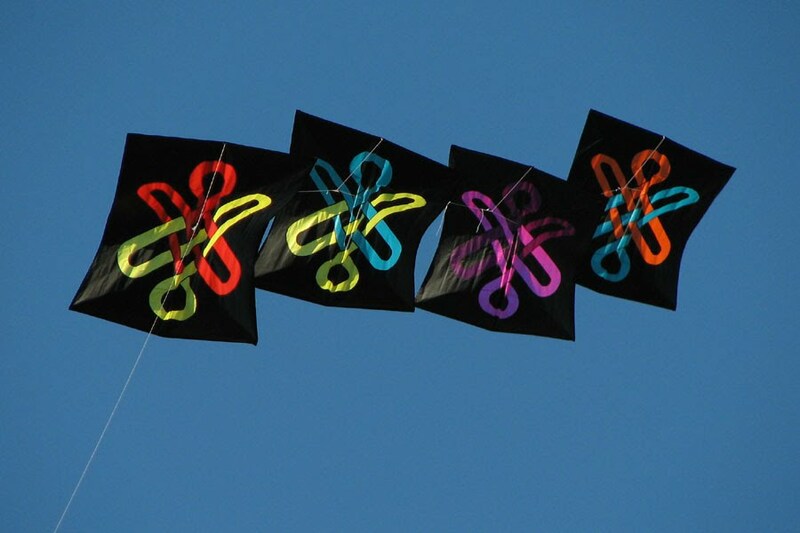 Our small panel kites fly in gentle breezes without a tail. They may be connected to fly as a train.